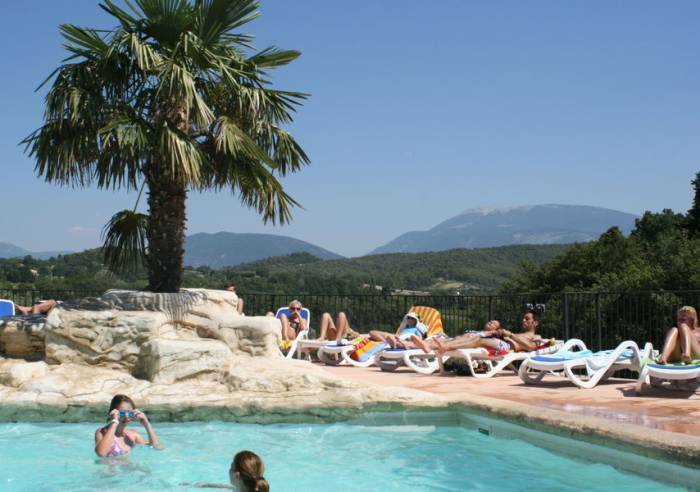 The best thing about this terraced campsite is the view of Mont-Ventoux. 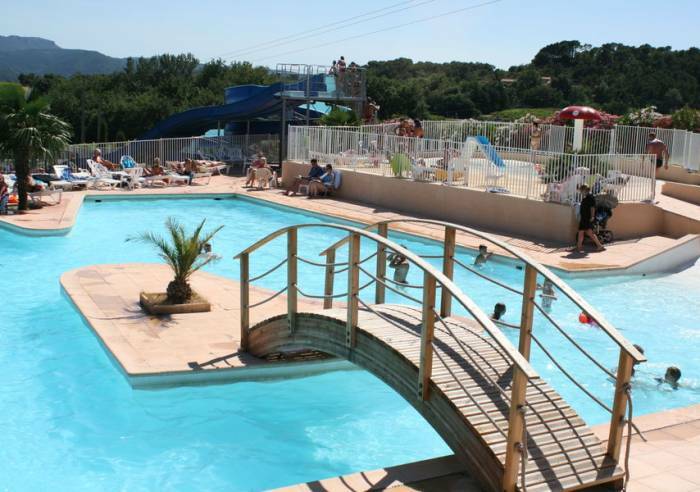 Enjoy a comfortable stay, in a tent or mobile home, relaxing in the heated pool. And in high season, you can take part in games and other events with your fellow holiday makers! 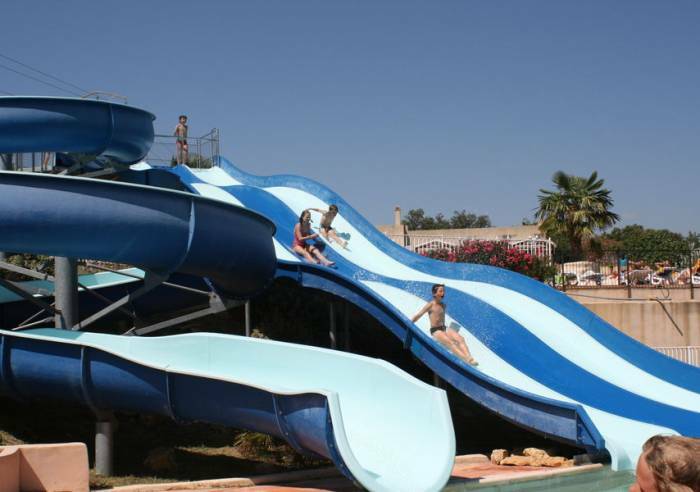 You’re sure to have fun with your family in the magnificent pool with island, palm trees and water slides. Soak up the camping atmosphere with a thirst-quenching drink at the bar; alternatively enjoy a game of volley ball, basketball, boules, table tennis, billiards or table football. Children’s playground, electronic games and inflatable giraffe available. And, of course, there's a full range of services: shops, heated wash facilities, bakers and food shop. Animals not allowed in rented accommodation. Wine-tasting on site with wine-growers, sale of AOC local wines in the shop, visits to our partner estates etc. 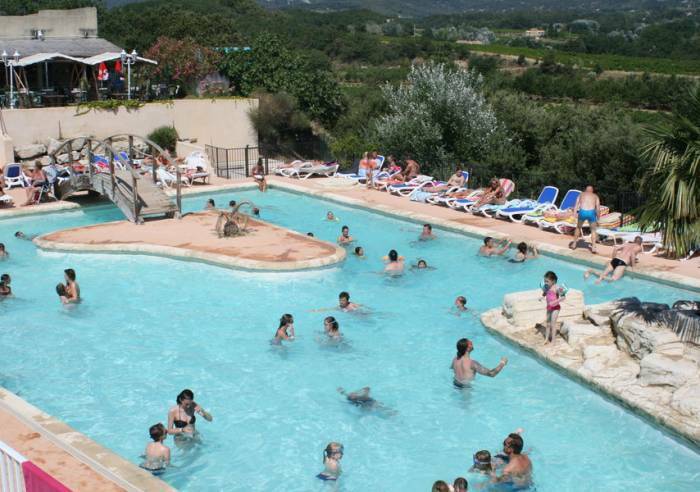 We are a Camping Bacchus en Vaucluse listed campsite. Vivaldi - Concert "Les Quatre Saisons"
Cheque, Chèques Vacances, Cash, Credit transfer. Baby equipment, Shower, Hot showers, Hand wash basins with hot water, Communal washing machine, Laundry with hot water, Fridge, Heated WC, Hair dryer, Communal drier, Television, Separate toilet, Hand wash basins, Ironing facilities, Play area, Sports hall, Fenced grounds, Bar, Shady grounds, Terrace, Toilets, Camper van service area, washing-up bowl, Automatic barrier, Barbecue, Pool, Boules area, Launderette, Paddling pool, Fun swimming pool, Electrical connections, Car park, Defibrillator, Sustainable development, Swimming pool, Games room, Waste management, Phytosanitary treatment, Heated swimming pool, Shared swimming pool, Children's swimming pool, Open air swimming pool, Babyfoot, Pets welcome, Reception, Motorhomes allowed, Ironing area, Caravan storage, Booking, Laundry, Beauty treatments, Daytime supervision, Bread store, Wi-fi, Club for teenagers, Club for children, Client safes, Gas store, Tourist brochures, Linen hire, Mobile home hire, Cleaning/housekeeping at end of stay, Postal service, Restaurant, Night watch, Grounds closed at night, Fast food, Takeaway/cooked dishes. 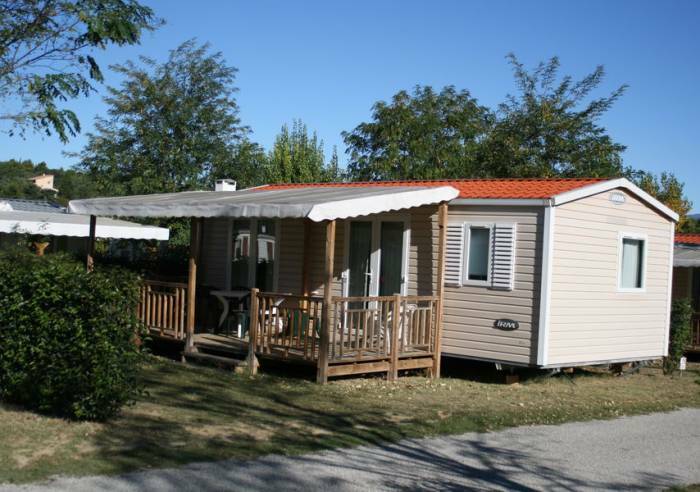 Rental mobile home (week): 250 to 980 €.